Jerry Mikutis is a yoga and Reiki teacher who has been enthralled by yoga ever since her first class in 2005 as a means for mental clarity from the stresses of life. The sense of peace the practice cultivated kept her coming back to the mat and the physical benefits soon made themselves evident. Her yoga practice eventually leads her to subtle practices such as Reiki and other methods of energy balancing. Jerry is a teacher of Usui Holy Fire II Reiki and Holy Fire II Karuna Reiki. She is a member of the Reiki Membership Association and has taken Reiki classes with various Reiki teachers in the Chicago area as well as traveling to continue her education with Reiki Masters William Lee Rand in Glastonbury, England and Michael Baird and Laurelle Shanti Gaia in Arizona to further her knowledge and connection with the Usui Holy Fire II Reiki energies. She shares dynamic healing techniques that soothe emotional distress and balance your body’s natural energy. She offers Usui Holy Fire II Reiki Placements – Beginners to Master Level Certifications. 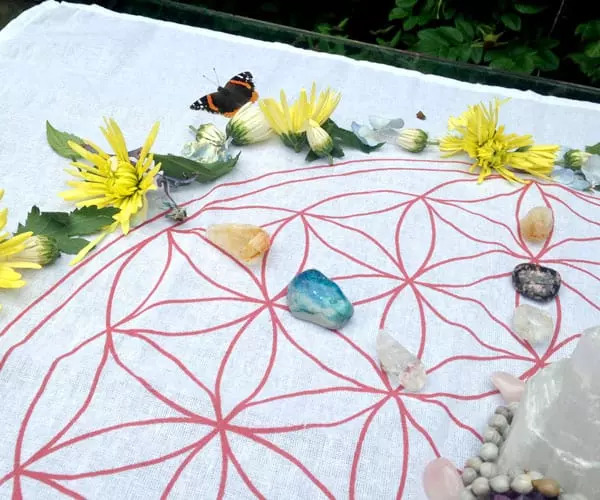 She nurtures her Reiki students into becoming confident healers. In addition to a certification in teaching yoga and Reiki, she has her bachelor’s degree in mechanical engineering and a master’s in child development. She has served as an AmeriCorps volunteer in Chicago’s West Town neighborhood. She is an Usui Reiki Master Teacher and a Karuna Reiki Master. She also has a fascination with astrology from a larger social perspective, cats, plant-based veganism, hiking, kombucha, sleeping under the stars, bing cherries, days over 60 degrees, all things Iceland, sharing her love of knitting socks and Buffy the Vampire Slayer. She tried to fulfill a lifelong dream to see the Northern Lights when she was in Iceland in 2016, but the clouds were in the way. She tried again in May of 2017, but it was midnight sun season. Jerry is also available for private sessions with in-person Reiki, yoga, and distance Reiki sessions. Please CONTACT HER for more details.